Product prices and availability are accurate as of 2019-04-19 01:46:16 EDT and are subject to change. Any price and availability information displayed on http://www.amazon.com/ at the time of purchase will apply to the purchase of this product. 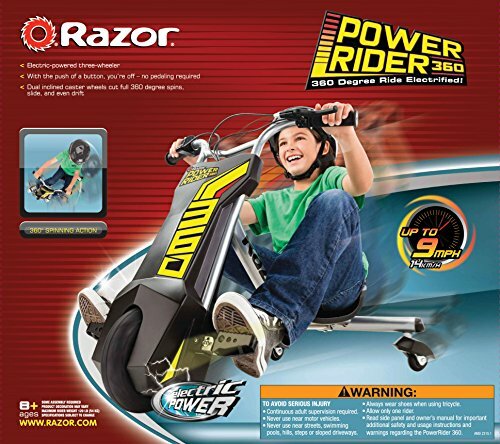 Blast into the future with the Power Rider 360 - the all-new, electric powered three-wheeler from Razor. With the push of a button, you're off - no pedaling required. 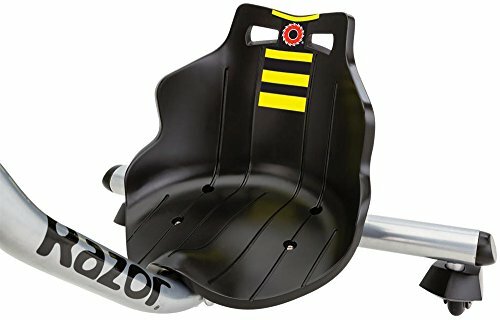 Race at speeds up to 9 mph, cut full 360 degree spins, slide, even drift on Power Rider 360's high-performance duel inclined rear caster wheels. 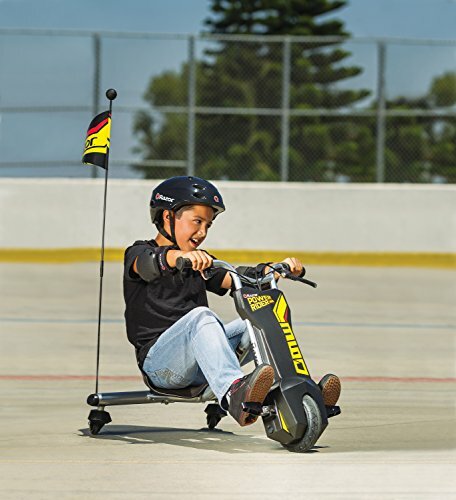 Features a chain-driven motor, with push button throttle, up to 40 minutes of continuous use, front, hand operated braking system, welded steel frame with moto-style double crown fork design, hi-impact pneumatic front wheel, rear, dual inclined casters for drifting and spinning action, rubber grips and folding foot pegs. Also includes, a12V sealed lead acid rechargeable battery system with charger. 12 hour battery charge time. 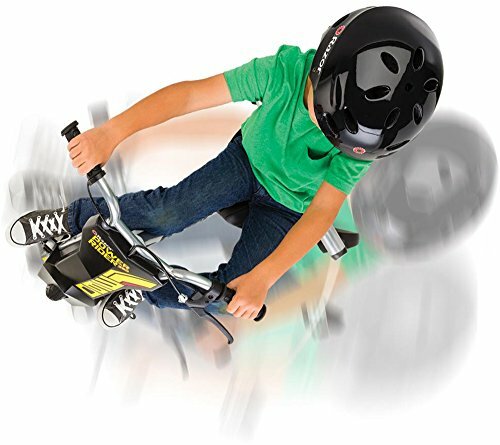 Recommended for ages 8 and older and will support a rider up to 120 pounds. The buyer and rider of the Power Rider 360 are responsible for knowing and obeying all local, state and federal regulations regarding the riding and use of all Razor electric vehicles and scooters.